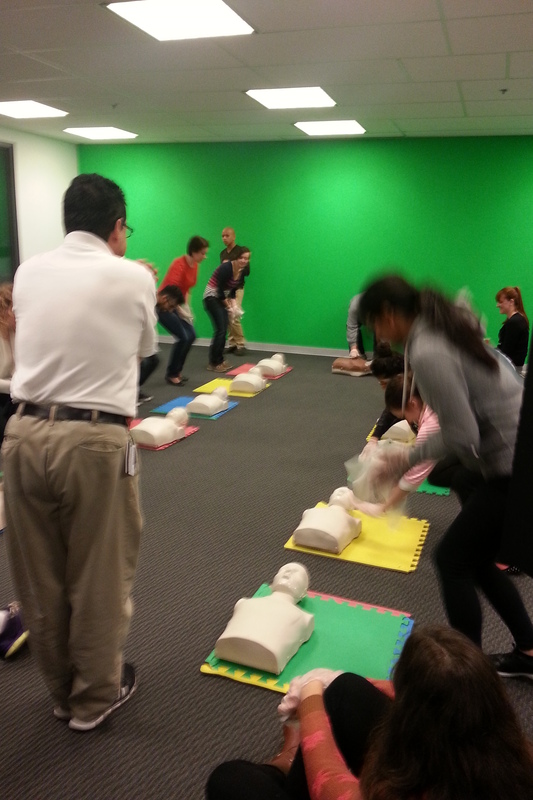 As part of my Event Marketing program at Seneca College, all students must be certified in CPR/First Aid. 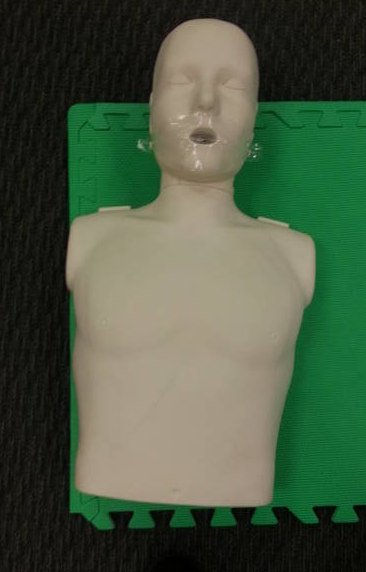 This is my third CPR/First Aid certification course, so I knew what to except. While a few things have changed, the fundamentals have stayed the same. Jesus Gomez from the Canadian Red Cross came to instruct us on how to save someone’s life if ever we were faced with a real life crisis. Jesus was an amazing instructor; he was charismatic, animated and clearly very passionate about his job. He was able to keep us engaged for a whole seven hours, which couldn’t have been an easy task! Over the course of the day we learned how to properly revive a victim in different situations. First, we learned the 3 Cs: check, call, care. The most important thing before you start is to make sure the scene is safe for you to perform CPR. If you try to perform CPR where hazards are present, you run the risk of putting yourself in grave danger. If you end up injuring yourself, there is very little likelihood that you could properly rescue someone. If the scene is safe, proceed by calling out for help (get a bystander to call 911). Commence CPR by checking the victim’s ABCs (airway, breathing and circulation). If you suspect the person isn’t responsive, you give 30 chest compressions followed by 2 breaths for 5 minutes. After 5 minutes, you should switch with a second person, as CPR can be very physically demanding and exhausting. We were given a chance to practice this on high-tech dummies (dubbed “Peter Peter Pumpkin Eater” by Jesus). There were lights on the dummies. If you were giving CPR correctly the lights would turn green, if you weren’t, the lights would remain red. Luckily I was almost always ‘green’, so I know that Peter Peter Pumpkin Eater would have been A-OK in a real-life situation. Jesus also taught us how to properly use an AED (automated external defibrillator). An AED delivers an electric shock throughout the body which essentially helps to restart a heart that has stopped beating (cardiac arrest). 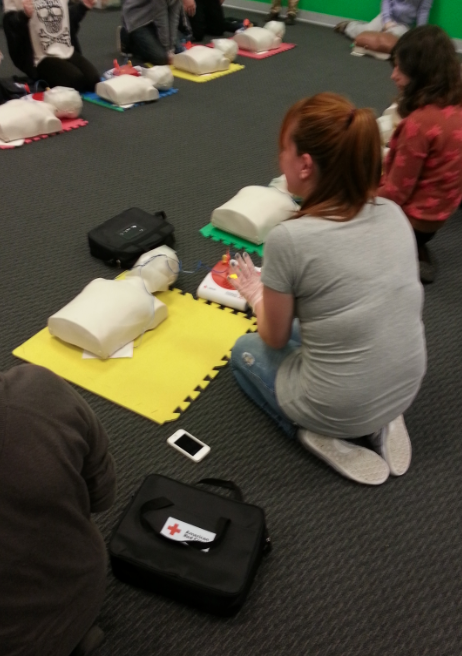 I was very surprised by how easy it was to use an AED. After learning the fundamentals of CPR and how to properly use an AED machine, Jesus taught us how to help a choking victim. We learned how to preform abdominal thrusts incase we encounter someone who is choking. Jesus said that performing abdominal thrust can help save a life 99.9% of the time. We then practiced wound care by wrapping our partner’s fake wounds in linen cloth. My partner and I went a little overboard and wrapped each other in enough linen to be mummies! Lastly, Jesus taught us how to administer medication for someone suffering from an Anaphylactic shock. It was really cool being able to practice using a fake EpiPen, although I’m so thankful there wasn’t a real needle or else I might have fainted. All in all, it was a great day. Jesus equipped me with all the knowledge and confidence needed to save a life. Knowing CPR/First Aid is especially important when working at an event. You just never know when you may need to save a life!